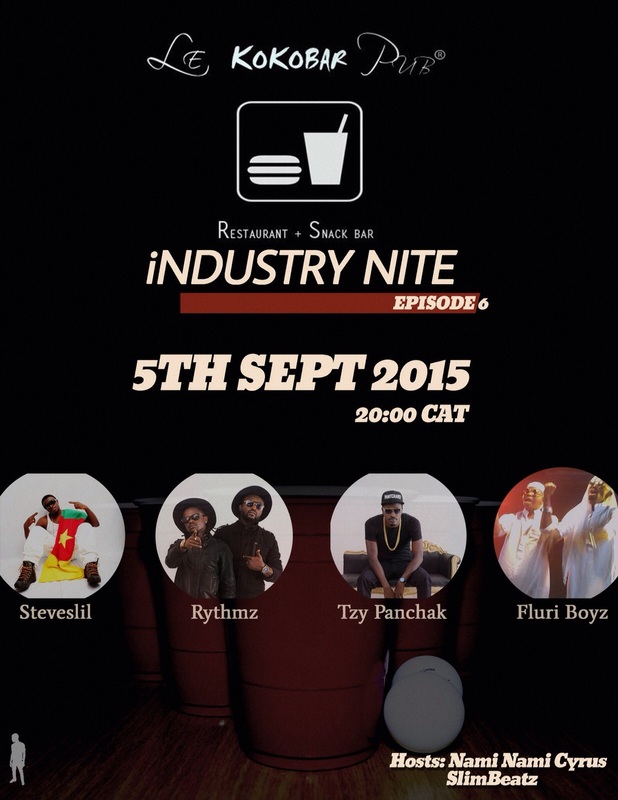 EVENT: STEVE’SLIL, RYTHMZ, TZY PANCHAK & FLURI BOYZ TO PERFORM @ INDUSTRY NITE, KOKOBAR PUB, SATURDAY 5TH SEPT. Turn up for the “Afronite” edition of the star-studded event dubbed “Industry Nite” slated to take place on Saturday 5th September @ Kokobar Pub , Molyko – Buea, 8pm sharp. 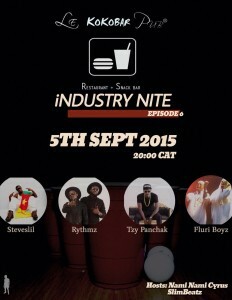 The sizzling show features trending Afro-pop sensations Steve’Slil , Rythmz, Tzy Panchak and Fluri Boyz. Entry is free . Be sure to purchase drinks at Kokobar Bar to unwind yourselves. Best Music artist TZY PANCHAK created a remarkable impression after dropping “Mado” cover of Kiss Daniel’s monster hit “Woju” “NO WORRY” is his brand new song produced by Slimbeatz. A tune embellished with originality and soul-seductive lyrics. 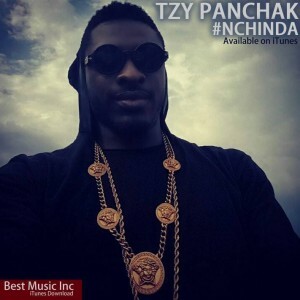 Tzy Panchak is now a formidable force to reckon with in Cameroon’s urban music sphere. Often referred as the 2face of Cameroon with a voice resemblance with the Naija superstar, the Cameroonian Afro-pop / dancehall artist is quite promising. His newly released songs “Nchinda” and reggae tune “no woman no cry” ft Ewube are musical pieces that are simply irresistible. The songs were produced under Best Music Inc.